Clemens Arvid Nelson died after a brief illness on March 3, 2004, in Bishop, California, at the age of 85. Clem was a renowned paleontologist specializing in trilobites, meticulous stratigrapher and participant in refining the Early-to-Middle Cambrian boundary, superb field geologist and author of geological maps, dedicated and inspiring teacher of both his students and his colleagues, and friend and helper to everyone in need. Born in St. Paul, Minnesota, on November 26, 1918, Clem was the only son of a family of six children born to Swedish parents Arvid and Olga Nelson. He studied geology in his home town’s twin city of Minneapolis at the University of Minnesota and obtained the Bachelor of Arts degree in 1941 and that of Master of Science the following year. Clem then worked briefly for the United States Geological Survey. That institution and he seem to have agreed with each other, because he continued his connection and kept producing impeccable geological map quadrangles under the Survey’s imprint throughout his career. Late in 1942 he joined the United States Navy and served throughout World War II until his discharge at the rank of Lieutenant in 1946. He immediately returned to his alma mater as a student and half-time instructor. Early in the summer of 1948, Clem had almost finished his doctorate and was recruited for the post of instructor and lecturer by Cordell Durrell, chairman of the Department of Geology at the Los Angeles campus of the University of California. His employment was to start with the fall semester. At that critical time Clem’s mother died, and the thesis was not finished in time. The UCLA Department came through with the job anyway, and Clem started teaching. His thesis “The Cambrian Stratigraphy of the St. Croix Valley” (a region straddling the Minnesota-Wisconsin border), was accepted by the University of Minnesota in 1949. Portions of it saw publication in 1951, in the Journal of Paleontology. 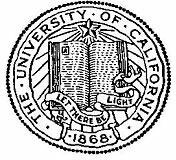 Promotions at the University of California were, and still are, granted only slowly and after painful scrutiny. On the occasion of Clem’s proposed advancement from Instructor to assistant professor in 1949, his chairman, still Cord Durrell, mentions in a letter to the university president that despite a heavy teaching load the candidate had started field work to re-investigate the Type Middle Cambrian Section in the Inyo Mountains of California, where no new work had been done for over 50 years. This must have impressed President Sproul, because Clem entered the tenure track as Assistant Professor, Step I, in the fall of 1950. Tenure and associate professorship came in 1958 and full professorship in 1964. Some professors must, beyond their teaching and research, also become administrators—Clem was chairman twice from the fall of 1966 to that of 1969, and again from 1970 to 1972. From 1975 to his retirement in 1987 Clem served as Undergraduate Advisor, guiding and inspiring his department’s younger students to navigate the bureaucratic maze of formal requirements and prerequisites to those requirements, but also, and more importantly, to learn and to enjoy learning. He also took many generations of undergraduates to the crowning course of their curriculum, “Advanced Field Geology,” run from a field camp on either the eastern or the western slopes above Owens Valley near Big Pine, “God’s Own Country” as he used to call it. He made them work long, hard days, and most of them loved it. Clem was a wise and fatherly advisor to the students he led to their master’s and doctor’s degrees. Clem held rather progressive views on many social issues—though the original motivation probably came from his wife Ruth, Clem was an outspoken advocate for women’s rights, long before it was widely adopted or “politically correct.” His was one of the earliest voices that set us on the path of equal opportunity for women students and faculty, a long tradition of which the UCLA Department of Earth & Space Sciences is justifiably proud. Clem and Ruth came to the Owens Valley in 1987, after his retirement from UCLA. Ruth died in 1989, but Clem stayed active in the geology of eastern California and was a remarkable source of support for younger generations of geologists working in the White-Inyo Range. For many years he led interested parties on trips into his favorite country, especially Poleta Folds and Papoose Flat. Clem kept up on new research and often asked, “Did you see that new paper by so-and-so?” in a tone that led one to believe that he was skeptical about that particular paper. As he aged he was less able to get off trail or up into the high country of the White Mountains, but he was always willing to take a drive and point at things from the roadside. He showed keen interest in any new results, whether they be mapping, geochronology, or structural geology. His maps truly inspired generations of geologists to work in eastern California. A gathering of family, loved ones and friends was held for Clem on Sunday, March 28, 2004, at the University of California White Mountain Research Station in Bishop, California. Clem is survived by three sisters, his children James, Jack, and Peggy Nelson, seven grandchildren; and two great-grandchildren.